Bonsai trees are a compact version of a much larger tree or plant that is carefully cultivated to grow in shallow containers. They are popular with horticulturalists due to the challenge they present, and the art form they represent. They also are perfect for small gardens and indoor spaces and bring a sense of peace and harmony to their location. If you would love to bring a bit to unique interest and greenery to your space, then a larch bonsai may be your perfect match. Easy to care for and maintain, these miniature trees are often found both inside and out for diversity and interest. Larch, otherwise known as Tamarack, is a unique conifer with short needles that change through brilliant hues of green and gold through the growing season. Unlike other conifers that stay green year-round, the larch species are deciduous and drop their needles each autumn as winter approaches. Lover of cooler climates, you can often find the Larch in more northern and mountainous growing habitats, as well as areas of poor drainage – as they thrive in boggy organic soils. They also are extremely hardy, and although have very slow root and vegetative growth when young, are prolific growers once established. They also are easy to plant from both seed and cutting- making them ideal for bonsai propagation. 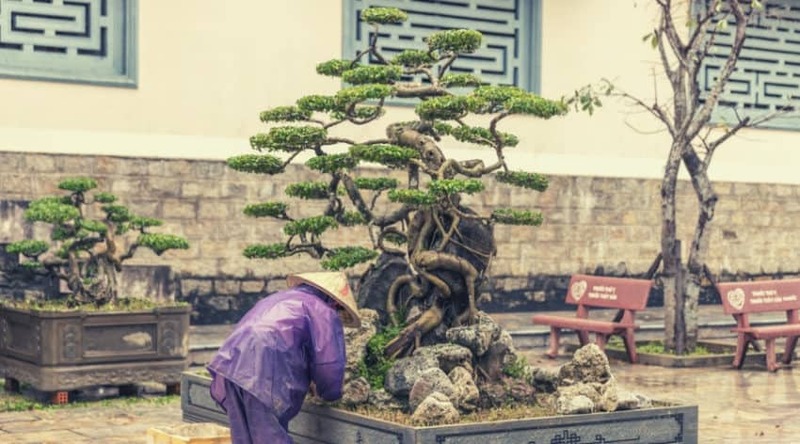 Literally translated as “planted in a shallow container”, the art of bonsai is a Chinese horticultural art form that creates miniature tree forms from full-sized parent plants. It has been borrowed across many Asian countries and also is very popular in Western cultures to showcase the foliage, color, and texture of the technique in various types of gardens. Careful cultivation of seedlings through pruning and wiring, gardeners can easily influence trees and other woody vegetation species, to stay under the accepted 4 feet to be considered bonsai (although some can reach up to 7 feet depending on species and location). 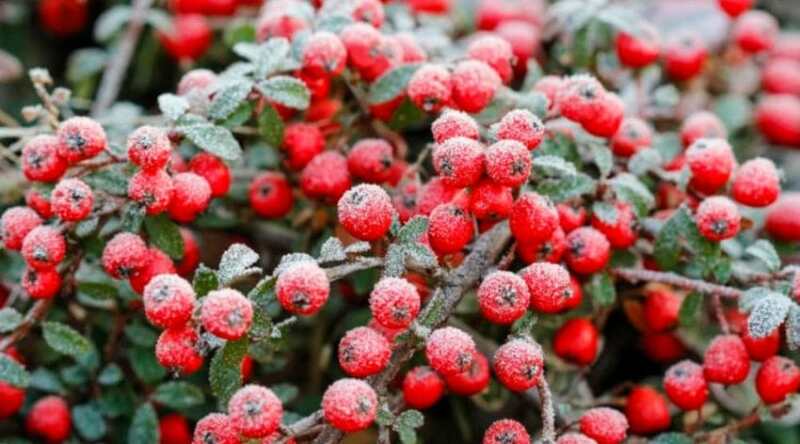 These plants still bear flowers and fruits and, in fact, are influenced to bear the natural changes of the season to provide a realistic version of their larger selves. 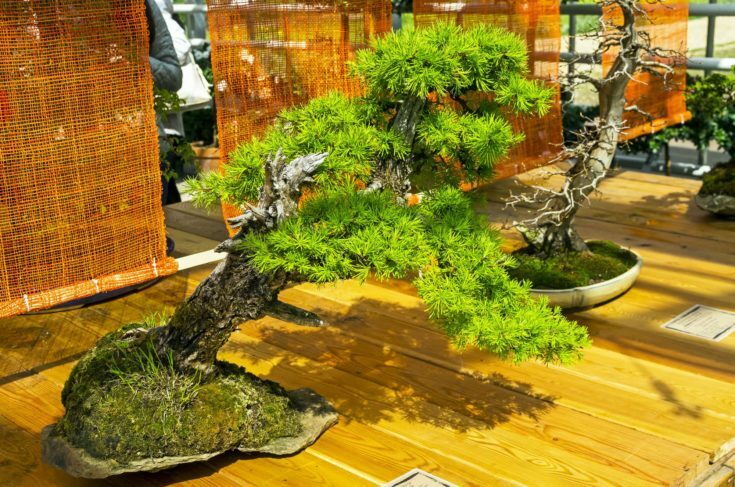 Larch is a very popular species to grow as a bonsai art form due to the quickly growing, thick trunk, the changing seasonal foliage, and how well it can be placed in a group planting to create a bonsai forest. It also bears small, purplish cones that add to the color and distinction of the species. 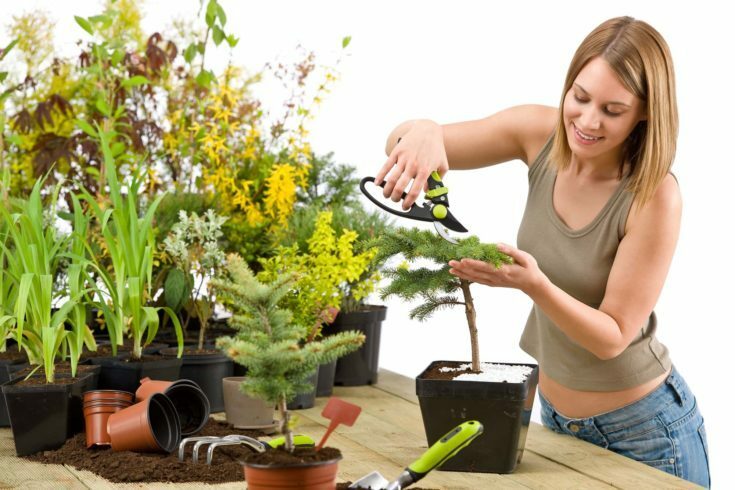 To get started you will need to either start a tree from seed, or from a cutting. If propagating seeds, you will want to gather comes from mature cones in the winter and then set them in the sun until they open- then you can shake the seeds out. It is always best to plant more than one to ensure germination. Larch is particularly easy to grow from a cutting and only requires a few simple steps. Cuttings should be gathered from new shoots in mid to late summer during the early morning, dipped in rooting hormone, and then placed in a well-watered substrate. Some people prefer to wrap their cutting in wet paper towels and place in a plastic bag until roots begin to show (usually within 2 to 3 weeks), but you can place your cutting directly into your growing medium. 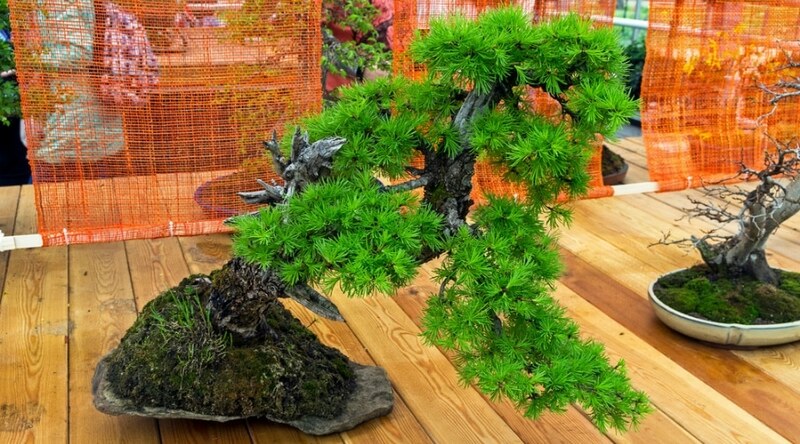 The soil you grow your bonsai in is a very important consideration, mainly because you are not only stunting the growth of the trunk and branches of the larch, but also the roots as well. In fact, the roots can be very much a part of the overall effect and need the proper substrate to take hold of. Soil allows for nutrient availability, water drainage, and aeration. It also provides interest and an opportunity for the roots to twist and turn amongst the substrate used. 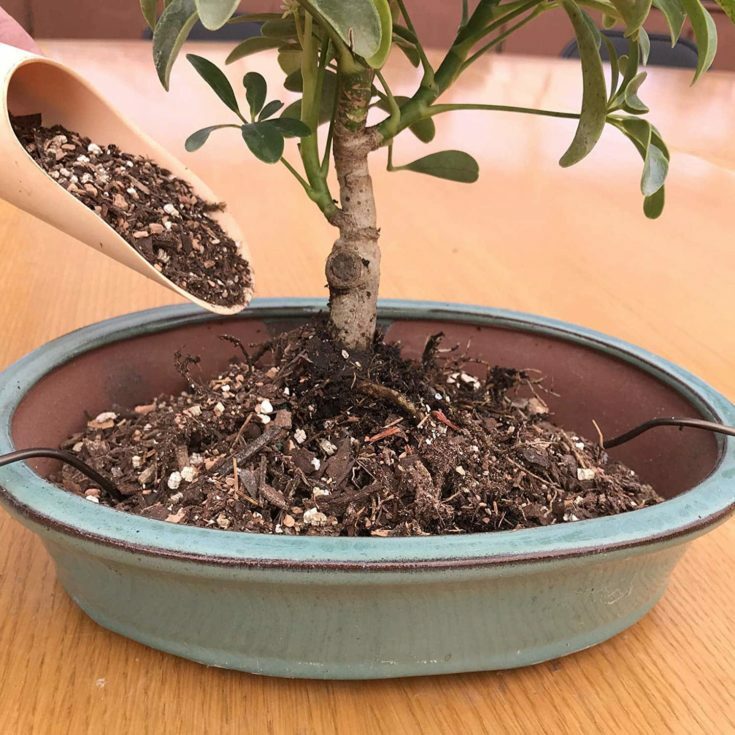 A bonsai soil mix can be purchased as is, but most cultivators prefer to make their own using a mix of grit, organic potting soil, lava rock, pumice, and Akadema, hard baked clay that provides water drainage when mixed with other materials. This type of mix, that contains many large materials, is crucial to root formation to allow them to split and merge around the rocks. This provides interest, and also a greater surface area for water and nutrient uptake- an important detail for a stunted tree. Almost as important as the plant itself is the container it is grown within. Traditional container sizes, shapes, colors, and textures are chosen to complement the plant growth and provide further artistic expression. One thing they do all have in common is that they are shallow in nature to keep your plant from growing too fast. You will have many options to choose from, and over time will also have to repot your growing bonsai to fit it’s growing style and shape. Pot height should be approximately the same measurement as the width of the trunk directly above the roots. This is called the nebari and enhances the balance between the natural growth and artificial container. Oval or rectangular containers should be no more than ⅔ around of the plant’s total height. Round or square pots no more than ⅓ around. Pots may become wider if a heavy or larger canopy is present. Bearing fruit trees and conifers that produce cones can be given a deeper pot to allow an increase in nutrient uptake for the added interest. This should be approximately double the depth of what would otherwise be considered appropriate. Bonsai, in general, has become a very popular technique to model for hobbyists and master gardeners alike. Although bonsai are not incredibly difficult to grow and cultivate, they do require patience and regular care to achieve your desired results. Some helpful tips should be kept in mind in order to get the best results possible results. Make sure you have the proper soil substrate and container size to help keep the plant small and provide a concentrated area for root uptake of nutrients and water for healthy canopy and bloom. A fine mesh laid along the bottom keeps from washing out the soils and keep nutrients more available for plant use. This way, drainage is still allowed to keep from your roots sitting in water, but the nutrient binding to soils is not wasted. Akadema clays also helps with this. Many bonsai do end up as indoor plants, therefore they require proper lighting. 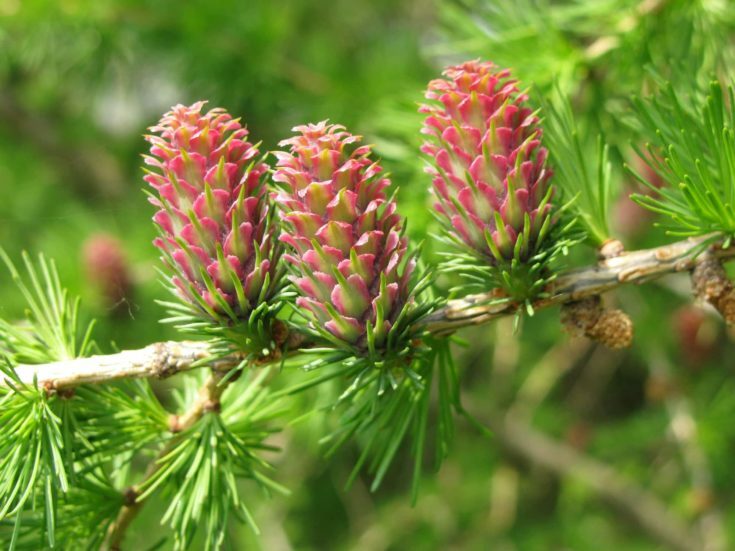 Different plant requires different light levels, but larch, in particular, are sun lovers and do need a sunny window to achieve full growth and foliage bloom. Even if you do not have a fully sunny area, you can provide a grow light that lends the full power of the light spectrum to ensure your larch gets the habitat it requires. 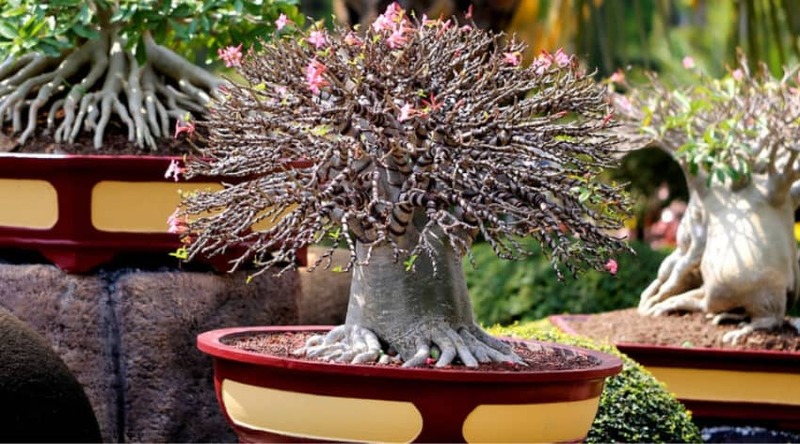 Most bonsai are typically repotted every 2 to 5 years. This truly depends on the type of plant you have, as well as how healthy the plant is doing from one growing season to the next. In order to know if your bonsai is ready for repotting, you will need to watch it closely through the season to determine if it is not growing as well as you feel it should- or if the blooms and/or foliage is not as prolific as it should be. You also can check the root system and see if it is becoming too root bound- where the roots wrap back around one another. Lift plant from the pot gently and tap to remove the soil. You can leave any of the larger pieces that the roots have formed around if they exist. Gently remove about 60% or 2/3rds of the root ball in order to provide more room to grow- which also will be presented in the tree canopy as well. You can either plant your tree into a new pot, following the guidelines from above or put it in the same pot now that it will have room to grow again. The larch species already has a naturally beautiful upright growth which is often used to build upon to showcase outward branching and cloudlike foliage. 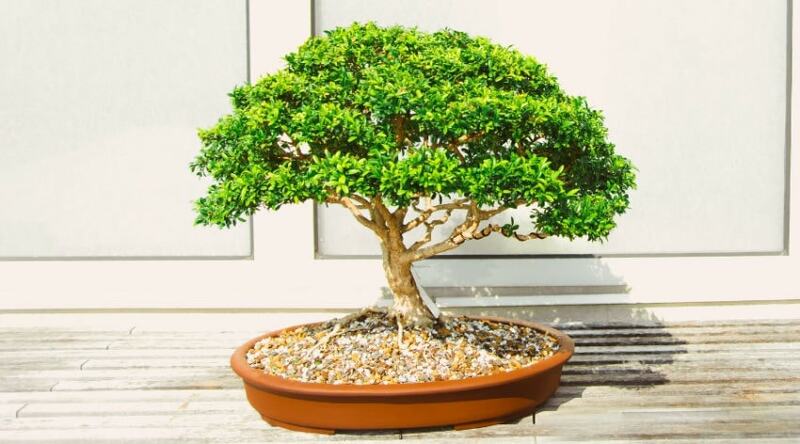 Those new to bonsai should work with the natural shape and growth of their tree, while those more comfortable with tree pruning and shaping can manipulate the overall effect a bit more. You should always work with the natural tendencies of the growth, however, to keep your tree from looking artificial and forced. Training your tree into the shape and design you desire takes experience and patience. Pruning larch for shape and training is best done in winter while the tree is in a state of cold weather preservation, and after the needles have fallen. This ensures that the nutrients from photosynthesis, the process through which a tree converts sun energy into food for themselves, has settled back into the roots to feed new growth once the weather begins to warm. Branch removal to avoid cross branches, waterspouts, etc are best addressed at this time if they have occurred. Larch does handle heavy pruning very well and are very vigorous growers, especially after becoming established. The regular pruning maintenance of larch can be continued through the entire year: allow new growth shoots to the first extent, and then pinch off to help established branches and the trunk to thicken. 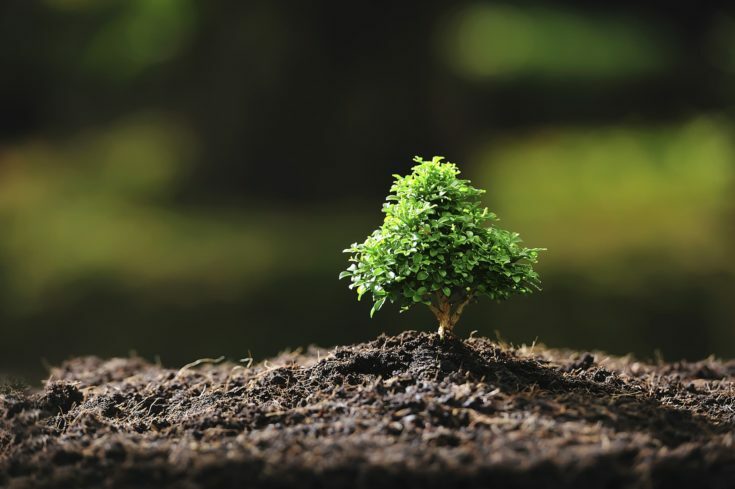 This practice may also be heard called ‘defoliation’ which is basically the practice of removing all unwanted mature foliage to help redirect growth, and encourage new growth. 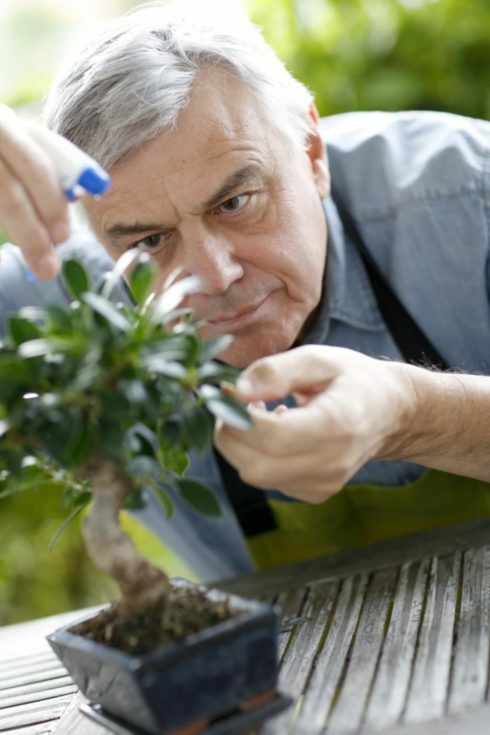 Wiring a bonsai is the practice of training your plant for shape using a soft aluminum or copper wire. Generally, these are gently wrapped around young branches to shape them into the direction you want. Larches are best wired in the spring when the bare branches are easy to access and see, but care should be taken not to knock off the new buds. Because larch does grow so quickly, the bark can thicken rapidly, and care should be taken to keep a close eye on wired branches to avoid cutting into the branch. Older branches may also be wired, but a heavier (thicker) gauge wire may be needed due to the thicker growth and bark- as well as multiple attempts to train the branches little by little to the shape you desire. The smaller containers and shallow root systems of a bonsai require careful watering schedules to avoid both drying out your plant, as well as drowning the roots. The rules of watering are similar to any other houseplant you may have- mainly that you want to make sure your plant is never completely dried out, but that it is also draining well. Larch, in particular, has a tendency to tolerate wetter soils since they grow naturally in areas that have saturated soils for part of the year. You can train them to tolerate drier soils, however, but just be sure to acclimate them slowly to a new watering regimen. Also, since larch do thrive in full sun, they can dry out more quickly- requiring you to keep a close eye on their water levels. In general, bonsai do need regular feedings due to their stunted nature of growth. By keeping it in a miniature state, the crown of the tree may not be as large as it needs to be to produce all the nutrients required through photosynthesis. Fertilizers also wash through well-drained soils more quickly, no matter how many binding substrates you may add. Larch should be fed a high nitrogen fertilizer in the early spring when buds first appear. It can be fed heavily at this time (approximately 4 times per month) to provide the nutrients needed for the first flush of new growth. This is especially important for younger, growing trees that are still working towards a more finished, mature look. As your tree matures you can begin to reduce the amount provided in the spring. You can continue to feed your larch through mid-summer when new growth begins to slow and the tree enters into a semi-dormant period. At this time a more balanced, or low-nitrogen feed can be applied to help the plant store nutrients for winter. The above guide may seem to reflect a lot of work, you have to remember you are working with a living, growing tree- and so the care and maintenance is not at all time consuming during any one period. 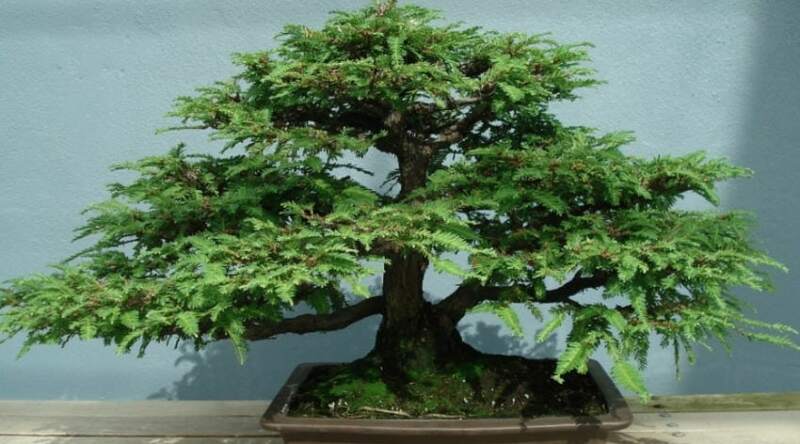 Larch bonsai is considered particularly easy to grow and cultivate and is a favorite addition to bonsai enthusiasts. It also is a popular choice for beginners and provides an excellent template from which to learn how to recognize tree growth habits and simple training techniques. The vigorous growth of the species is also very forgiving as well. Proper soil, water, light, and feed is important to pay attention to- as it is with any plant. Even if a light source is a concern, a small grow light can easily solve that problem for you. If you have any questions about the species or above information, please let us know below. 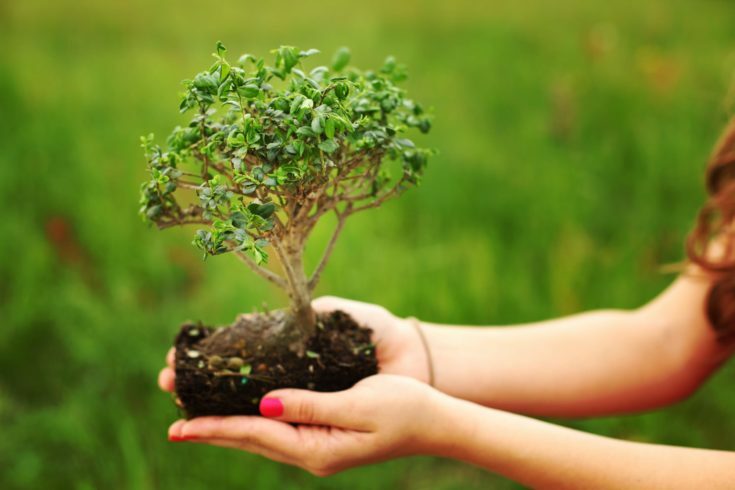 We’d also love to hear about your bonsai tree experiences! And, as always, please share!